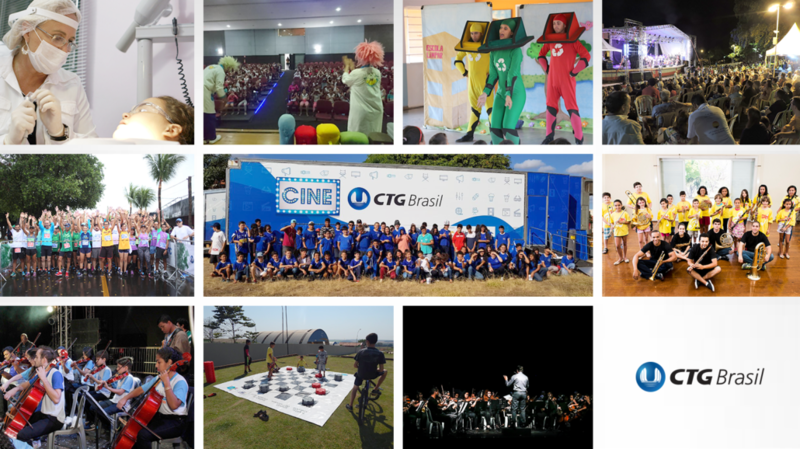 More than 600 thousand people were benefited by projects supported by CTG Brasil in 2018. Third largest generator of energy in the country, the company allocated R $ 15.5 million to 60 projects through its own resources, the Rouanet Law, the Children’s Fund and the Adolescent, the Law of the Elderly and Pronon. The actions focused on education, culture, sport, health and social inclusion, among other areas, reached 392 cities in the company’s regions, including São Paulo (SP), where the company is located, and the cities around the cities. reservoirs of the 14 hydroelectric power plants. One of the projects that reached the largest number of municipalities was the theatrical spectacle “Uli Lui and the Magic Cans”, taken to 73 cities last year. The piece touched on the importance of recycling and preservation of the environment. “The communities around our mills are among our priorities. We seek to maintain enduring relationships and participate in the lives of these communities in a positive way, taking culture, leisure, quality of life and development through projects that are adherent to our values, “says Salete da Hora, brand director, Communication and Sustainability.